There’s a long history of science-fiction and comic book musicals, some more successful than others. But where the likes of Little Shop of Horrors and The Rocky Horror Show have proven timeless, others have been infamous flops – looking at you Spider-Man Turn Off The Dark. Fanatical, playing at The Playground Theatre, follows suit with a tone that’s kitschy and camp, but delivers a sincere message with heart. Rather than being a sci-fi musical itself, it’s a musical about a sci-fi convention and the fans who attend. The story is a little flimsy, following convention creator Trix (Suanne Braun) as she struggles to keep a hold on a group of young fans and a convention rife with disaster. It’s predictable stuff, with an obvious Wizard of Oz twist, dialogue littered with outdated slang, and one-note characters. Initially at least, it relies on an antiquated view of geeks as awkward, socially inept weirdoes. 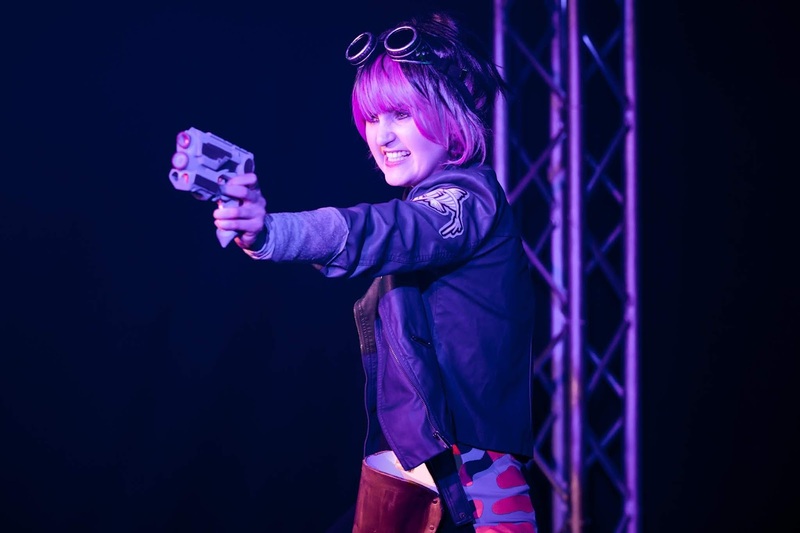 Science-fiction and comic books are amongst the most popular forms of entertainment – it’s not all snotty teenagers and trolls starting Twitter fan wars. Yet – as the predictable twists cement – the show is all about defying expectations. It’s about stripping back the layers of fanaticism to see the people underneath, the outsiders striving for acceptance amongst their peers. At the heart of every geek is just a passionate creative and that deserves to be celebrated. The actions of the show’s characters are frequently farcical and unbelievable, but they’re lovable people all the same. There are moments of real spark here. “You Should See Her Fly” in the first act sees Andra (Sophie Powles) cosplaying as her favourite comic character, describing the literal flights of fancy that drew her in. Powles gives an electric performance, the song tapping into themes of heroism and identity and the lessons that comic books teach us in our personal development. This song is the heart of the show, an ode to the characters that inspire fanaticism. It’s followed by “Look What I Made”, a cute number about fan art, podcasts and more, proving the inspirational value of the genre. The setting of a comic convention is rich, but here it’s not quite pushed far enough. The staging is, excuse the pun, conventional – more could be done to expand off the stage and draw us in. Not having the programme designed as a comic book is also a missed opportunity. There are plenty of nods to familiar comics and sci-fi franchises in the script, however, and the music follows suit. The band may be minimal, but whirring synth melodies add futuristic flavour and composer Matt Board’s melodies are suitably catchy. You’ll be singing the theme tune to the fictional TV show all the way home. The show eventually devolves into silliness, but the cast perform with such colourful high energy that it’s all wholeheartedly endearing. 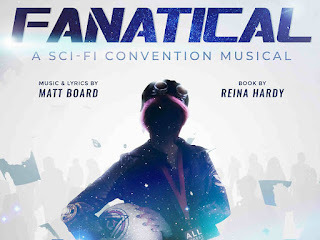 Sci-fi may seem niche, but it’s easy to be swept along by this adventure – Fanatical really is for everyone. 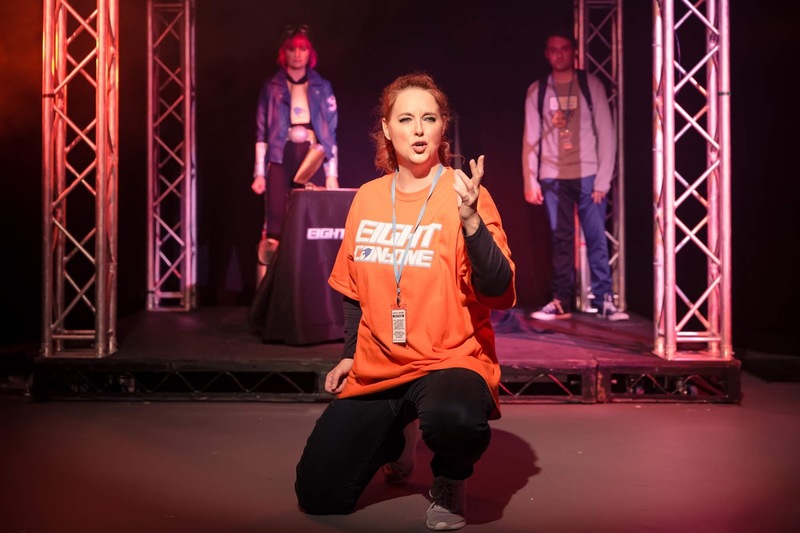 Watch: Fanatical runs at The Playground Theatre until 9th December.